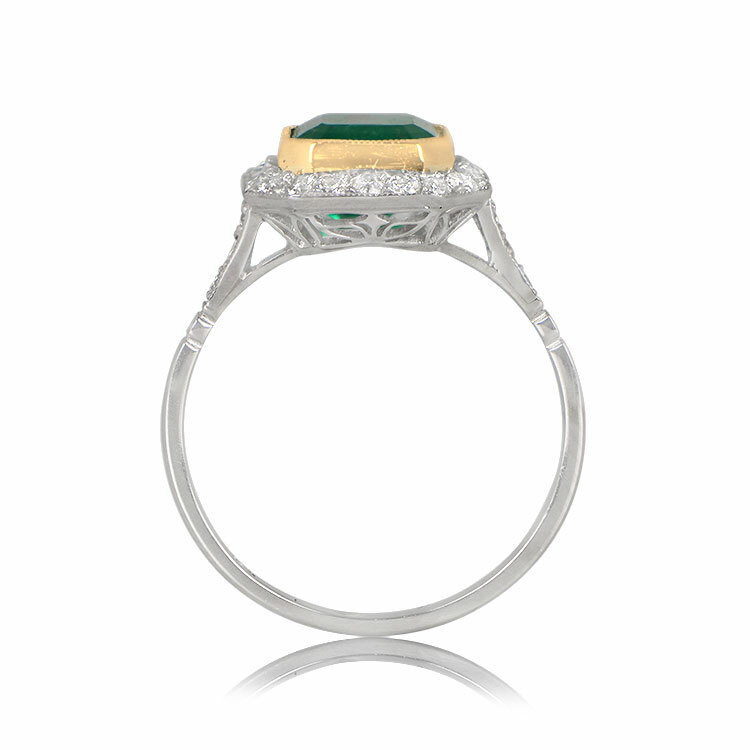 A lovely emerald engagement ring, bezel-set in yellow gold and framed by a halo of antique diamonds. 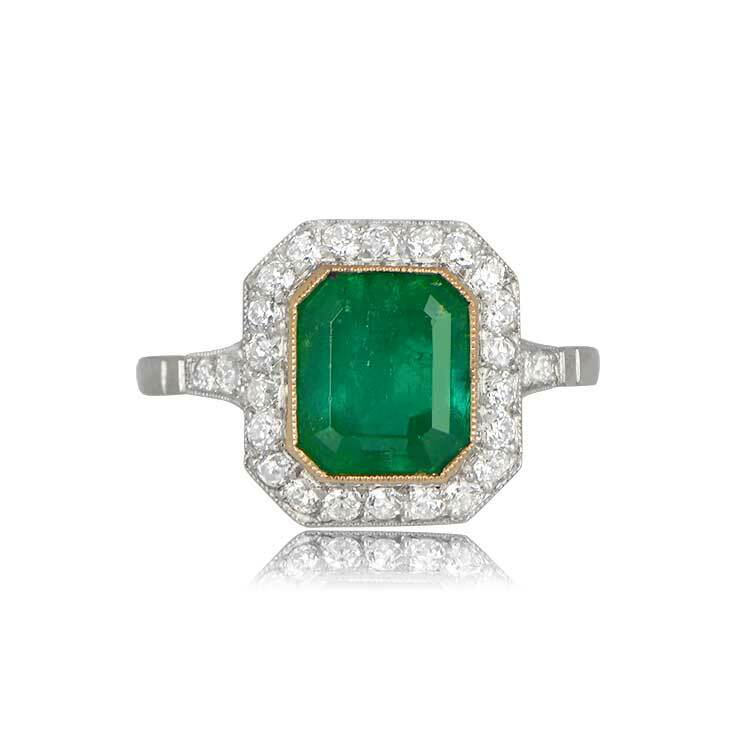 The center emerald has beautiful green tone and it weighs approximately 2.32 carats. 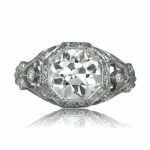 The shoulders are adorned with diamonds and the under-gallery features beautiful openwork filigree. 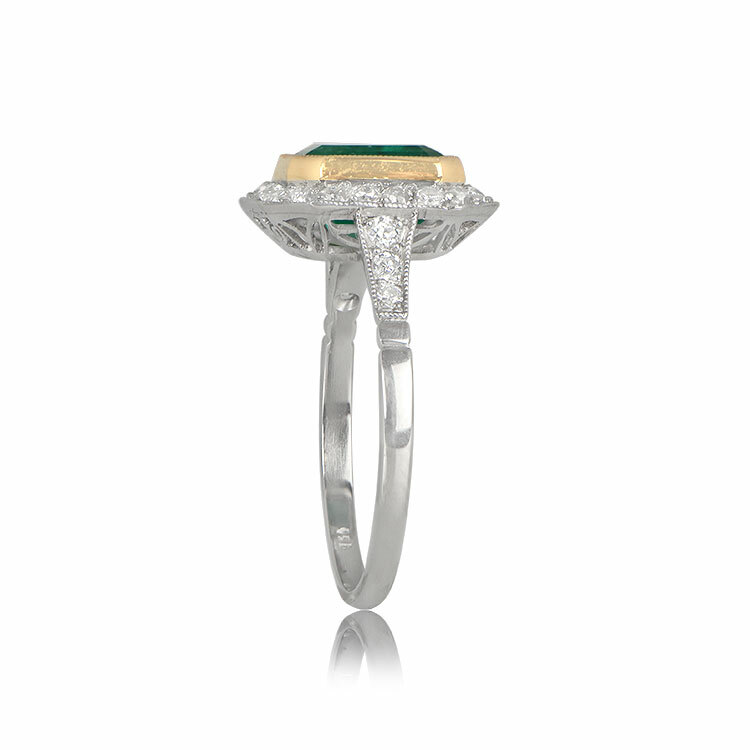 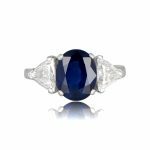 SKU: 12249 Categories: Emerald Engagement Rings, Vintage Engagement Rings - Contact us and request additional pictures.